SPIN Magazine's "First Listen" program is featuring the upcoming release from Of Montreal, Paralytic Stalks, due out February 7th. This is Kevin Barnes' eleventh collection of musical visions since 1997 and he is still clearly at full command of his band. SPIN provides notes from the frontman for each song, making it not only a welcome listening session but a complete artistic immersion with this intimate, behind the scenes read as well. The album kicks off with the percussive blast of "Gelid Ascent" that is both alarming and intriguing, much like Barnes himself. It opens up to a classic rock feel with echoing vocals saying, Speak to me. 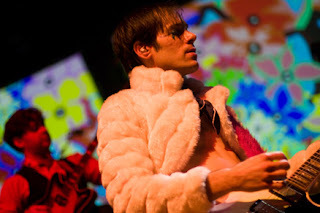 Music at once experimental and catchy for the next tune,"Spiteful Intervention," is classic Of Montreal. 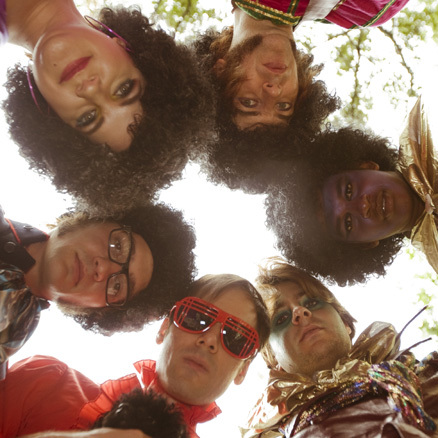 The soulful singing and funky beat of "Dour Percentage" and "We Will Commit Wolf Murder" expands to the sound explored in more recent albums. A softer approach is found in "Malefic Dowery," a "troubled love song" explains Barnes. Buzzy blips and electronic dance grooves return for "Ye, Renew the Plaintiff," with experimental forays to keep the eight minute song interesting. (Indeed, this is one of Barnes' favorite on the entire record). The next track, "Wintered Debts" begins with an acoustic guitar yet quickly expands into "a country shuffle," according to Barnes. The experimental focus returns through the final song, "Authentic Pyrrhic Remission," thirteen minutes of euphoric psych pop with Barnes singing, I love how we're learning from each other. Listen and read about Paralytic Stalks at the link here.